There are good henna tattoos that you can get. There are different colors of henna that can be applied. But black henna doesn’t appear to be the type you want tattooed on you. 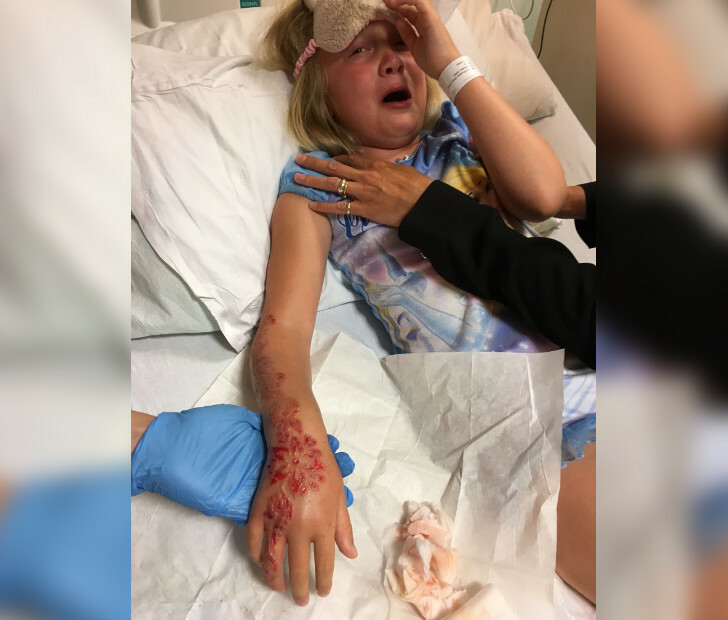 That’s what the family of 7-year-old Madison Gulliver learned when they got her one while on vacation in Egypt. Henna tattoos aren’t permanent. So, Martin Gulliver made the decision to get his daughter a tattoo at the hotel’s spas as a reward for being so well-behaved. It was a nice tattoo that she could enjoy and it would fade soon enough after time took its turn. But the whole idea went south rather fast and little Madison just might be scarred for life. At first, there wasn’t anything to worry about. But, eventually there were skin irritations. Then, it got much worse. The rash turned to unreal blisters. Her parents tried everything from ointments to steroid creams. But they eventually had to have Madison checked out by burn specialists when the blisters came back positive for an unusually high pH level. 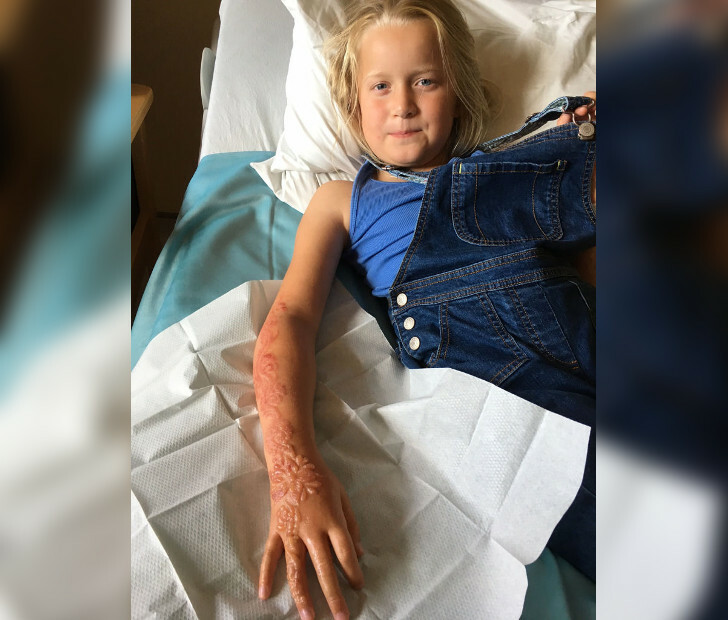 The black henna had caused chemical burns on Madison’s skin. When talking about what the doctors thought they could do, Martin said, “They thought they would be able to soak the blisters and rub them off. But that wasn’t possible as they were so thick, so they had to cut them off.” It was a painful and worrisome procedure caused by a chemical called paraphenylenediamine, or PPD. Not all quantities of PPD are bad since it’s found in many cosmetic products. But black henna has a level that’s too high for safe use. Now, Madison might have to go the rest of her life with that painful memory burnt into her arm. Click NEXT to learn what to do before getting a henna tattoo! Next ArticleLove Rosé? Pink Tequila Is Now Here!